Well, this is a weak week for our superqueero pals, from what I can tell. Unless Lying Cat is an unrevealed kitty queer, there's not even a cover featuring any... SuperQueeros: all that's lesbian, gay, bisexual, transexual, transgender, and queer in comics today! Does this book have any queer characters anymore?? Now that the newest bounty hunter in this book has effectively silenced our intrepid couple of queer reporters, what will they have to do? Oh, and how long does it take a Prince Robot to reboot...? 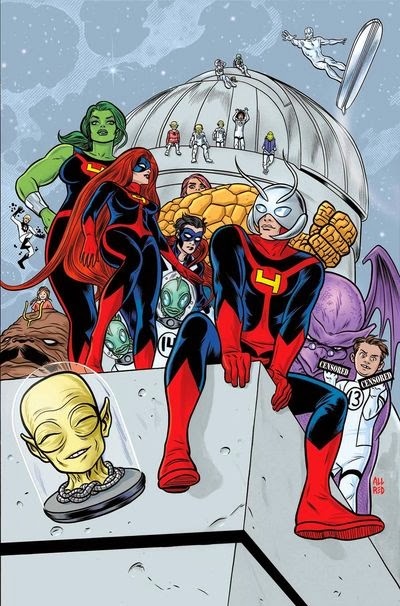 Though this is usually a strong week in the month for superqueero's, today we bid adieu to one of my favorite books of the past year, FF. We'll have to console ourselves with a super-large final issue and all of this week's other... SuperQueeros: all that's lesbian, gay, bisexual, transexual, transgender, and queer in comics today! It's the end of the ride for Tong's Fantastic Four stand-in team! I'm sure we'll get Tong in whatever Fantastic Four series comes out next, but for the fans of Shulkie this may be the last time you see Jenn in a while. Oh, and the plot of this one is that Antman channels Leslie Nielsen and takes down the Doom who took his daughter away from him (and the rest of the world by killing her). The wave of Marvel NOW! 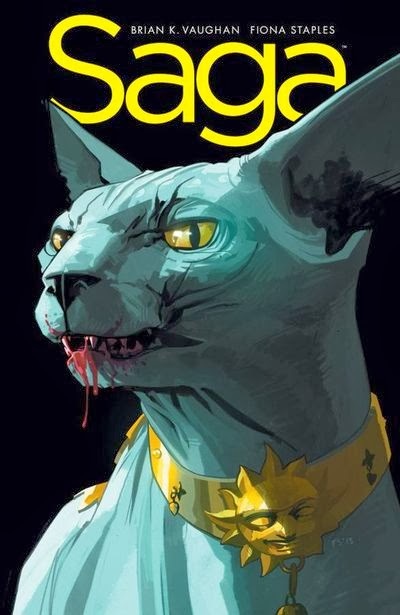 is sweeping one X-Force out, the Rat Queens face a brand new enemy - consequences! !, and Batgirl goes Goth(topia)! The world is certain topsy-turvy this week for... SuperQueeros: all that's lesbian, gay, bisexual, transexual, transgender, and queer in comics today! 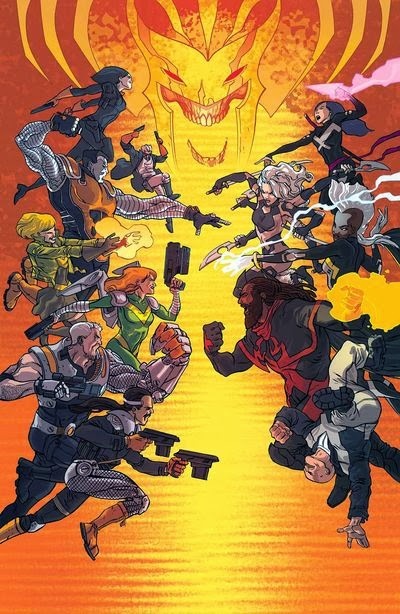 It's the moment we knew was coming ever since the launch of TWO X-Force titles: The Ultimate Showdown!!! But with a team that barely knows each other's first names, how does Storm expect to pull one over on the father-daughter tag-team of Hope and Cable??? I mean, besides by being her awesome self, that is. Happy New Year! Thankfully, we start out the first new comic book day of the new year with some of our old favorite... SuperQueeros: all that's lesbian, gay, bisexual, transexual, transgender, and queer in comics today! Tears! 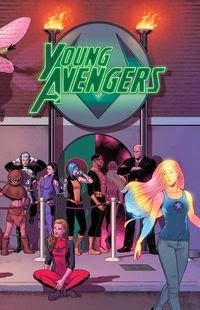 We say good-bye Kieron Gillen's awesome run on YA this week. But with the all-star (and almost-all-queer) set of charas on the cover, who knows what 'queeroic goodies it hides?